Date opened: Line opened 1.2.1875 but Newchurch Station opened after that date first appearing in a public timetable June 1876. Present state: Demolished - the only evidence of the station is a short section of the platform ramp which has been incorporated into a garden rockery but not in its original position..
Notes: The original station was of timber construction, both platform and buildings. The station had a single line siding serving a small goods yard on the north side of the line, adjacent to the platform. The station handled vegetables, flowers and later sugar beet traffic from growers in the Arreton Valley but after the 1930's this declined in favour of a few wagons of domestic coal or horticultural coke. 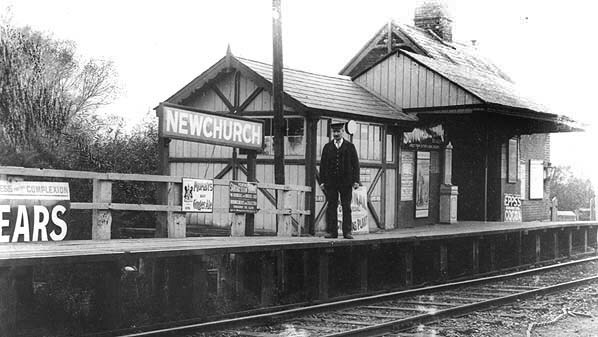 Newchurch Station in about 1900. At this time there was a stationmaster's house. 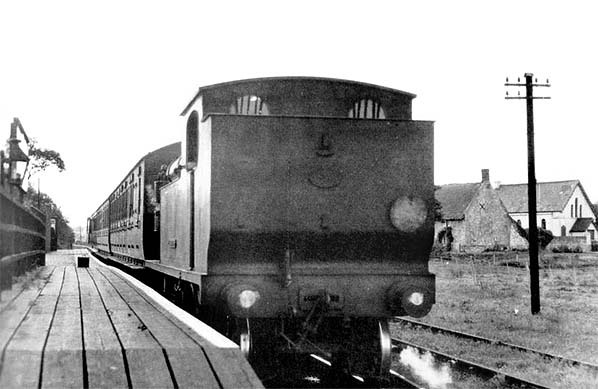 Note the timber facing along the front of the platform. 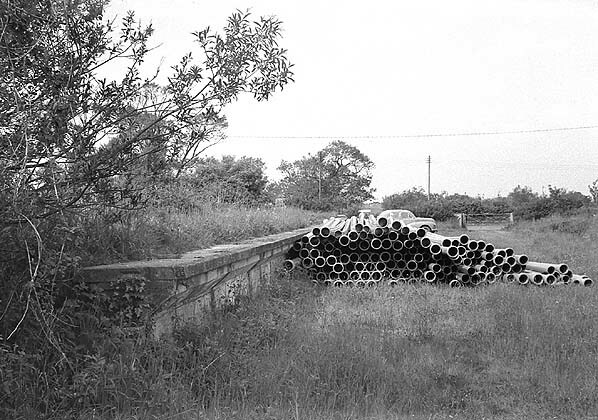 Newchurch station looking north-west form a signal pole in the 1960s. 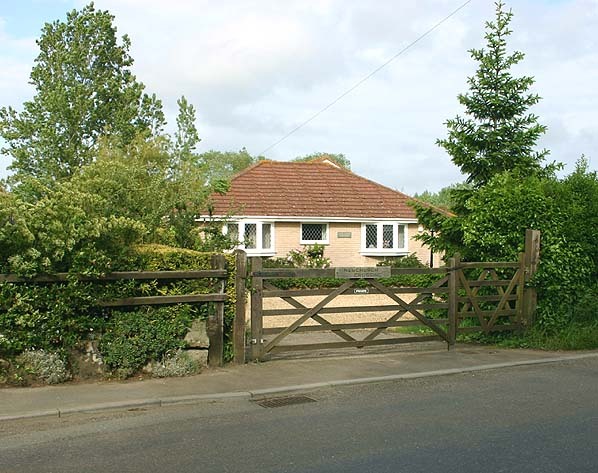 The stationmaster's house and other station buildings seen in the picture above have gone and the station has been provided with a new timber building. The central wooden section of the platform has also been replaced. 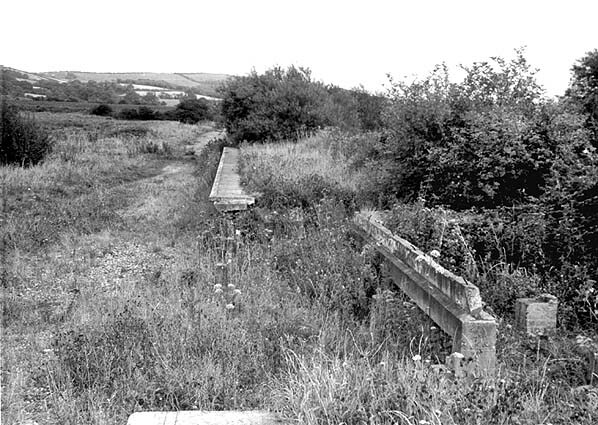 Newchurch station looking south-east in the 1960s. 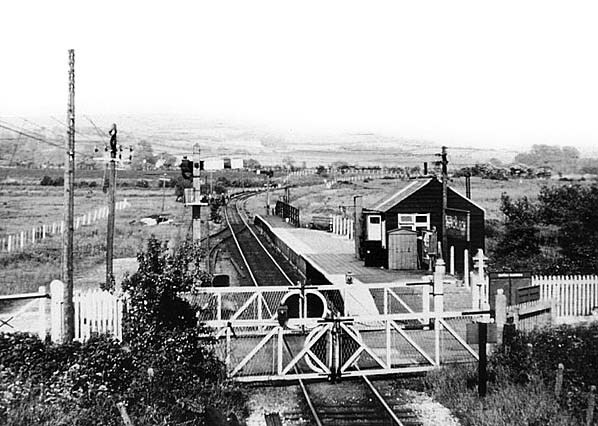 Newchurch station looking north-west from the level crossing c.1964. Only the central section of the platform and the base of the station building remains. Newchurch station looking south-west towards the level crossing in October 1967. 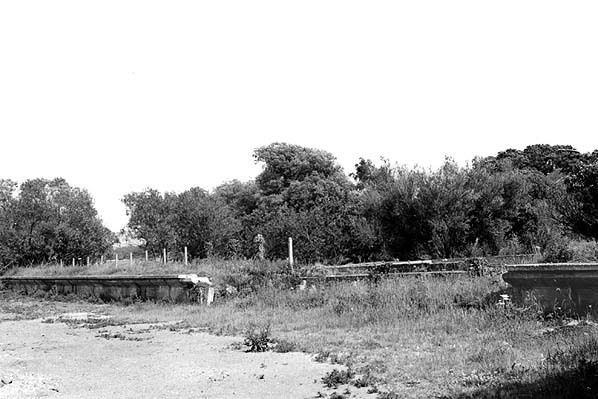 Newchurch station in June 1974.